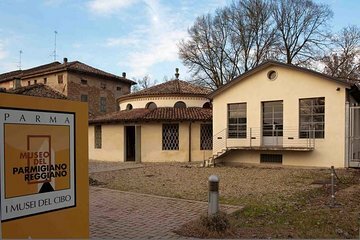 Make your own way to the Museum of Parmesan Cheese (Museo del Parmigiano-Reggiano) in Parma before your allocated entrance time and use your skip-the-line ticket to head straight to the front of the queue. Once inside, spend as long as you like exploring the museum’s fascinating exhibitions, which chronicle the history of Parmesan, Italy’s iconic cheese. Discover the different regions in which the cheese is made, watch the traditional production and maturation process, and learn how it became one of Italy’s most famous exports. Finally, learn about the many use for Parmesan and sample a selection of different parmesan cheeses (cheese tasting is included in your ticket). Before you leave, be sure to stop by the Museum Shop, where you can purchase tasting kits and unique parmesan memorabilia, or stop for coffee at the museum café (own expense).